Healthcare technology and security standards are increasingly demanding. 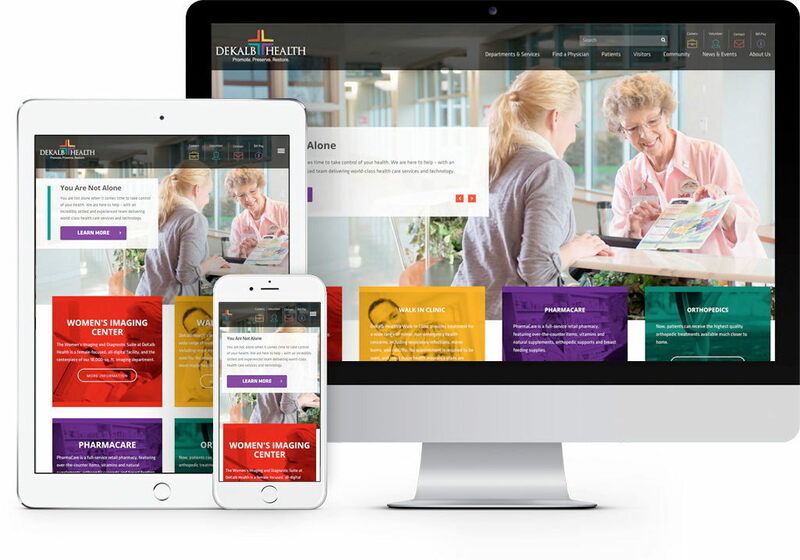 With the new website design engagement, we worked with a security-conscious IT team to fortify DeKalb Health’s website and data security. DeKalb Health has been serving patients in Auburn, Indiana and its surrounding areas with top-notch medical services for more than five decades. 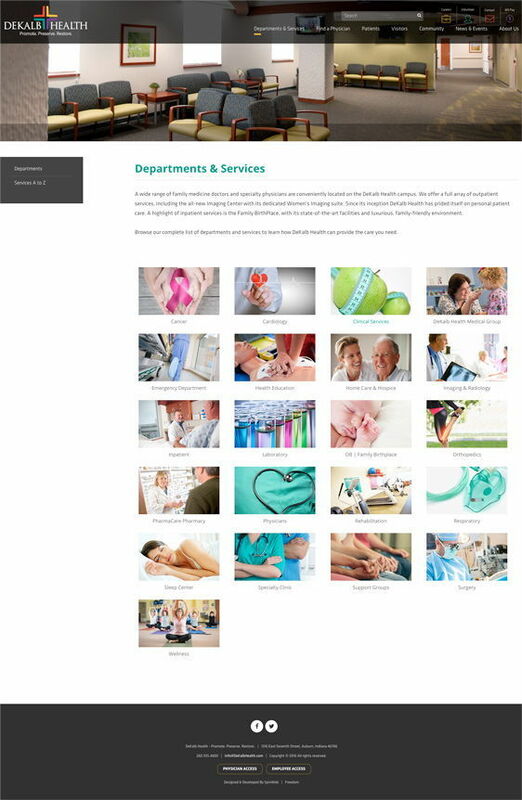 They wanted their website to reflect their state-of-the-art approach to patient care. 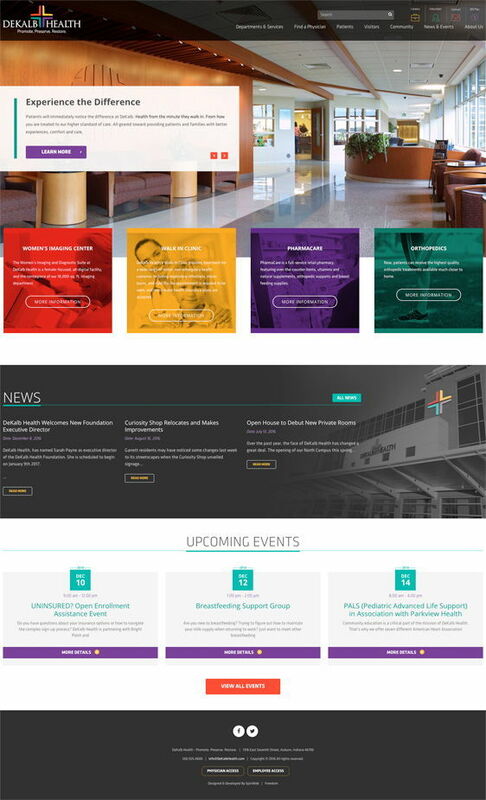 Not only did their website need a visual overhaul, but they wanted to increase website and data security, so patient information and technology infrastructure was protected. DeKalb Health approached us for assistance in both the planning of their new site as well as the implementation. As we noted above, the site was definitely due for a facelift; we were eager to pull the navigation into the 21st century, making it easier for users to find all of the site’s wonderful features quickly. However, our primary concern was beefing up the site’s security. We wanted to be certain that the site was compliant with the most current standards of cybersecurity, ensuring that our users’ information was immune to attack. To achieve our goals, we worked together with a security-conscious IT team to find the solution that would best suit DeKalb Health’s standards. In addition to that, we knew that the site needed to be scalable, allowing it to be viewed anywhere, from desktop to mobile device. 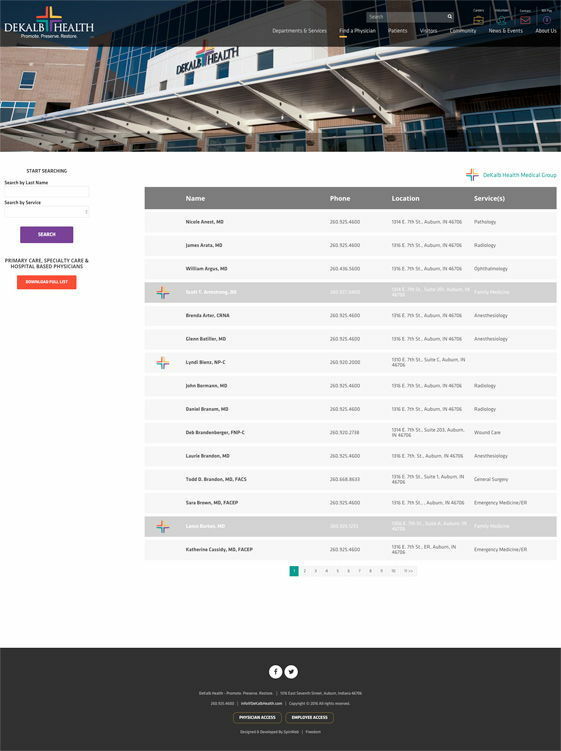 We assisted DeKalb Health in the planning stages, helping them get the navigation organized in a way that would appeal to their users and that would allow their users to find the features offered in an organic manner. Once we planned the site, we were ready to help them execute the plan. We were happy to use photos provided by DeKalb Health on the homepage as well as throughout the site, so the faces you see are those of the staff and visitors of the facility. It’s colorful, sleek, and easily navigable. The clearly delineated toolbar at the top offers users the information they need to get to where they need to go.